For those of a certain age, the cricket vernacular referred to as a “Michelle”, (Shane Warne often says it), means Pfeiffer, (as in the actress, Michelle Pfeiffer). For those of a younger generation, Pfeiffer rhymes with five-for. And there were two Reed players who had “Michelles” today. Alex Kelley took 5 wickets over at West Herts when the 2nds overhauled their target of 210 with 2 wickets intact. Matt Sampson scored 77 and Marcus Martin 42. By the end of the day, the Seconds were in 4th position in Division 4B. Meanwhile at the Freman Oval, the arguably most talented of the Hughes family, father Steve, took an amazing 5 for 23 as Hatfield Hyde were toppled for 122. 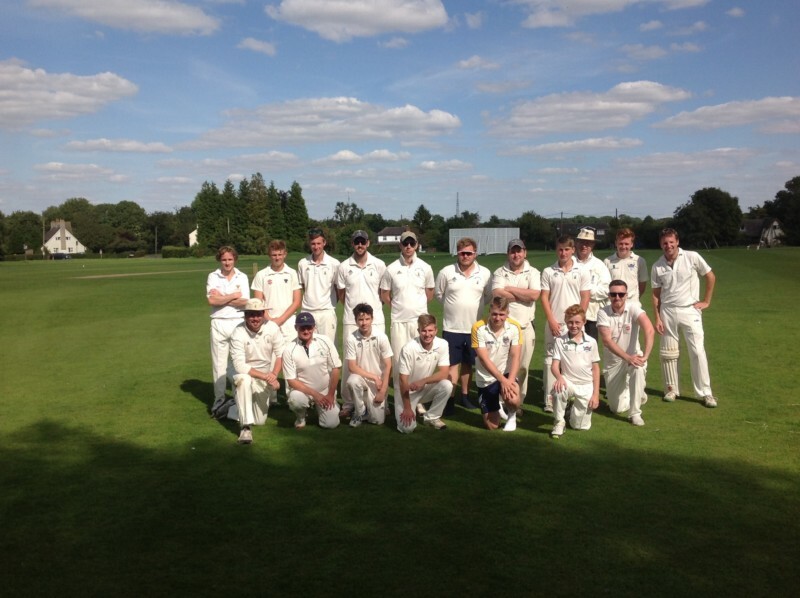 The Thirds took their time but MJE Baker saw them home with an undefeated fifty when they won by 5 wickets. The 3rds regain 6th position in Division 9A. At a very green Green, thanks to the mid-week rain, the Firsts had a bit of an “After the Lord Mayor’s Show” type of game. Batting first, Reed managed to reach a lowly 143 all out after being 50 for 1 at one stage. Ed Wharton made 35 and Sean Tidey 33. But this wasn’t enough; Hoddesdon faced a massive amount of “dot balls”, but still won comfortably, with overs in hand, by 4 wickets. Consequently, Reed have slipped from first place in the Championship to third as both Hoddesdon and West Herts leapfrogged them. Club President, Andrew Emms,together with his wife Carol, hosted a lunch in aid of Parkinson’s UK with donations directed towards research. Michelle Henderson from the organisation gave a very informative talk about the progress made into research into Parkinson’s and related illnesses over the past decade; local support groups and how they provided ways for sufferers and family members to meet to learn to cope; and, importantly, described how there is no central funding but how Parkinson’s UK is reliant on the generosity of members of the public who make donations and organise local fundraising events such as the one held at Reed CC this week. Andre will publicise the amount raised in due course. On the field, teams skippered by Tom Greaves and Toby Fynn played 30-overs a side pairs cricket under the watchful eye of Umpire Paul Watts. Each pair batted for 6 overs before being replaced by the next pair and so on. 5 runs were deducted for each wicket loss. The eventual winners being the Fynn Team which had a higher net run score. Expect Match Reports to follow shortly.